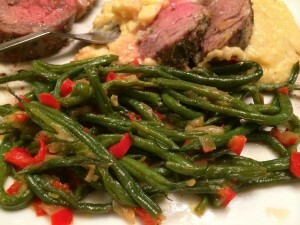 We love French Green Beans. 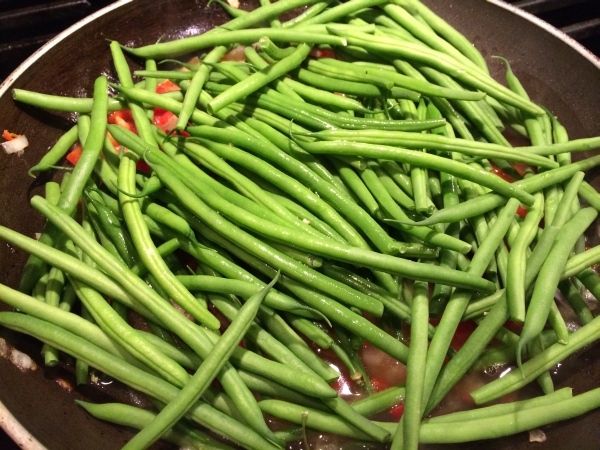 Also called string beans, green beans are made up of small seeds encased in long pods. Because they are harvested while still young, the green pods are tender and edible. 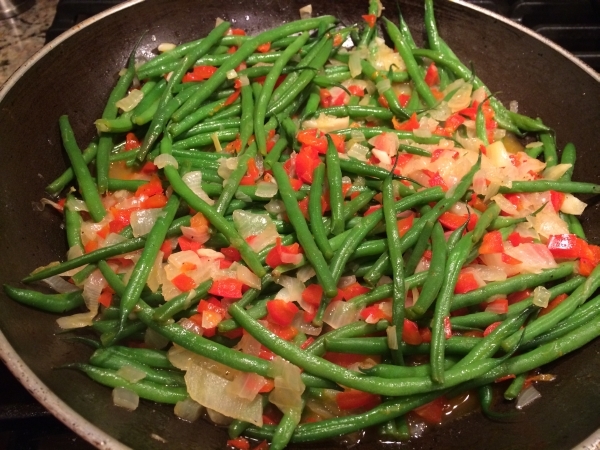 Green beans are available year-round with a peak season of May to October, but I love when I can find them at Costco! They should be crisp and bright green, without blemishes or signs of wilting. If you’re buying them without a package, try to choose beans that are of similar size for even cooking. I was looking for some way to change things up and this side dish worked well with items that I hand on hand in the fridge! Easy and tasty! 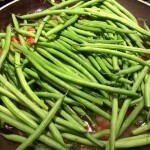 Clean the ends of the beans by snapping off the ends, (or cut them off in a big bunch with a knife to save time). Melt butter in the oil in a skillet over medium low heat. Add the garlic and onions and cook for about five minutes. 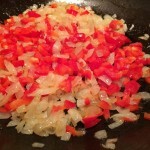 Next, add the red pepper and cook for about a minute or so. Season with salt and pepper and add the green beans. Cook for a minute until beans turn bright green before adding the chicken stock. Turn the heat to low and cover with a lid, leaving it cracked a bit to allow steam to escape. Cook, tossing occasionally for 20 to 30 minutes or until liquid evaporates and beans are fairly soft, yet still a bit crisp. I taste and wait until the “squeak” is gone. 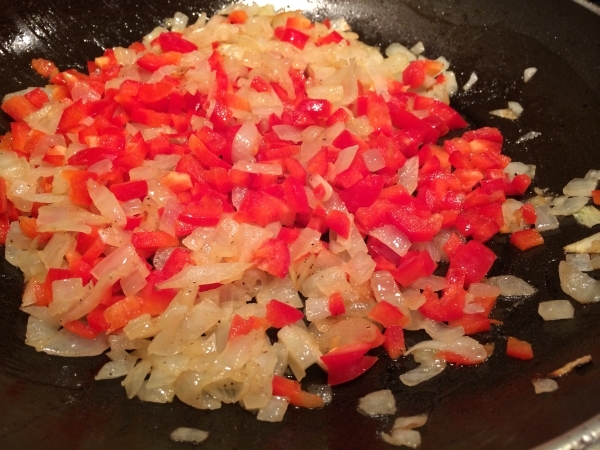 If necessary, you can add more stock during the cooking process, but allow the liquid to cook away so the onions and peppers have a chance caramelize.